Norwegian Cruise Line has announced several new features coming to its upcoming cruise ship Norwegian Escape. 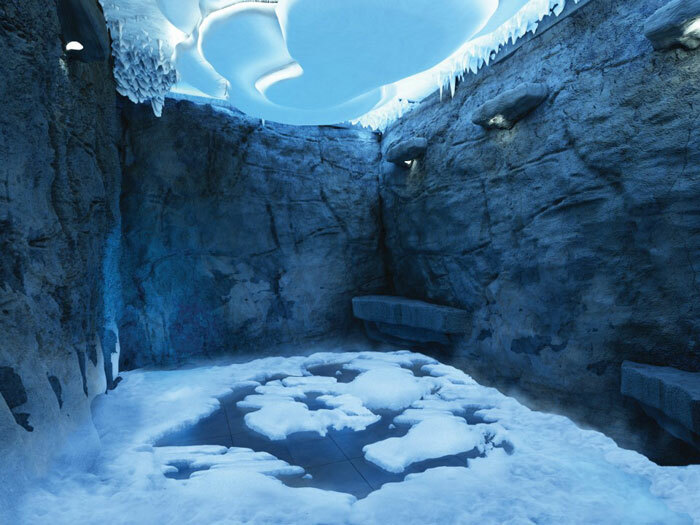 One of the new features will include the cruise lines first ever Snow Room! Yes we said Snow Room! 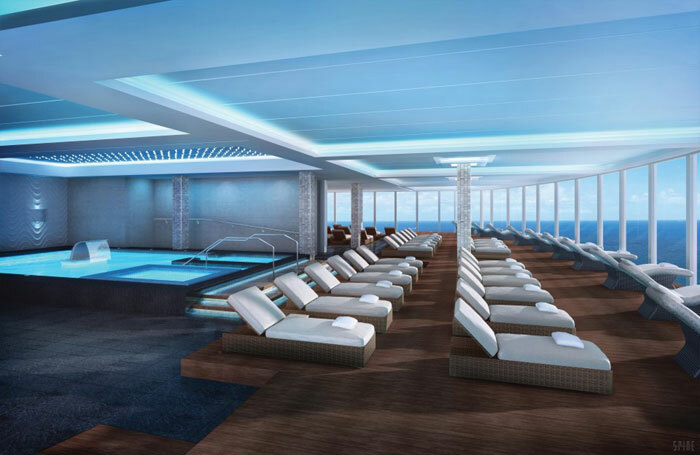 Once the vessel debuts in October 2015 guests will be able to experience several new spaces where they can unwind and relax all cruise long. One of the highlights is the ships Mandara Spa which will be the most innovative yet. Lets have a look at the new spaces that NCL has announced. The Mandara Spa will be a prime public space where passengers will be able to take advantage of the most innovative Spa in the fleet. The Spa will span two decks and will include 17 heated lounge chairs along with unobstructed ocean views. A whirl pool, hydro-therapy pool, steam room, dry sauna, sanarium and saltroom are also key areas of the Mandara Spa. 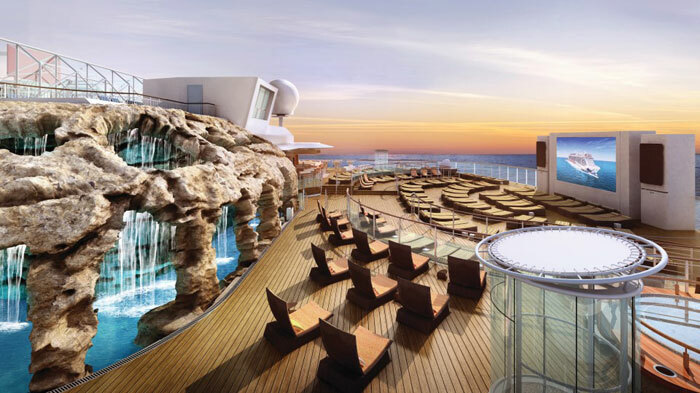 Norwegian Escape’s Mandara Spa will be equipped with 24 contemporary furnished treatment rooms offering more than 50 signature services for both men and women including massages such as the Elemis Aroma Spa Seaweed Massage; Elemis signature facials such as the luxurious Elemis Pro-Collagen Quartz Lift Facial; and signature body enhancing treatments like the Exotic Lime & Ginger Salt Glow. In addition to the new Spa highlights guests will have the chance to enjoy the usual offerings of the Salon and Fitness spaces that will also have several special programs to get folks in shape. 21 degrees to 32 degrees Fahrenheit and throws out a puff of snow throughout the day. The new innovative feature will stimulate blood circulation and strengthen the immune system. When people thing of cruising most think of hot tropical conditions and sipping on the perfect cocktail and now on Norwegian Escape you can experience the Snow Room. on deck 17, will offer day-time complimentary leisure. A bevy of sun loungers surround a huge video screen, while two hot tubs await for those looking to de-stress. Whats great about this Spice H20 is the new grotto area featuring lush waterfalls where passengers can cool off from the hot sun. At night the space will turn into a cool dance venue offering cocktails and amazing views of the stars. Another adults only venue is the Vibe Beach Club. This place will feature a hot tub, lounge chairs and a soothing water feature. But to get in here anyone over the age of 18 would have to purchase an access pass. Norwegian Cruise Line also last month announced it;s activity offerings which Cruise Hive previously reported on. The 164,600 ton vessel will also feature the worlds first Jimmy Buffett’s Margaritaville at Sea. At the moment the 4,200 passenger cruise ship is being constructed at the Meyer Werft shipyard in Papenburg, Germany and is set to make it;s debut in October 2015. Expect more announcements from NCL in the coming months as we build up to the ships completion. U.S. Virgin Islands; Tortola, British Virgin Islands and Nassau, Bahamas.